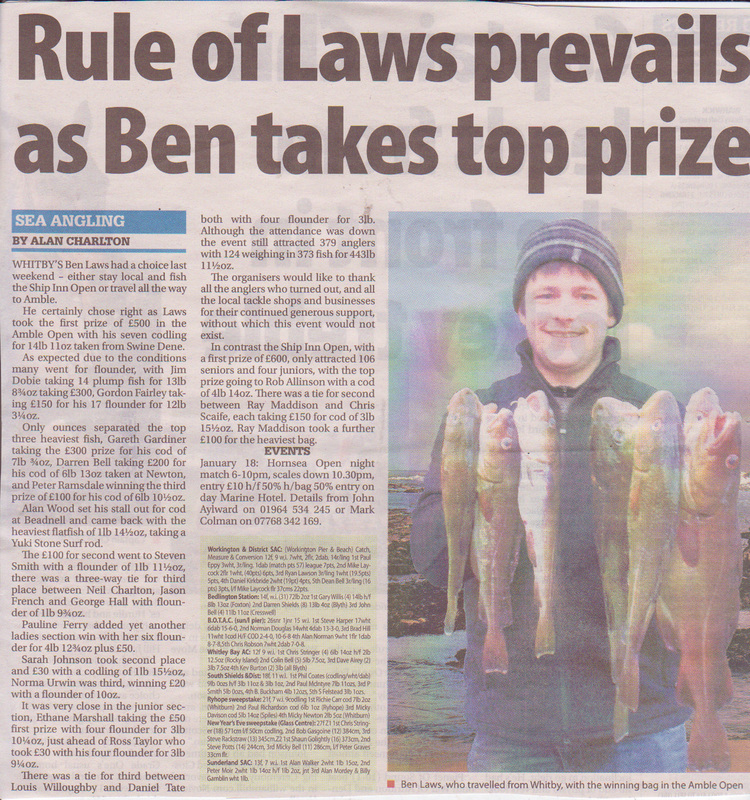 Whitby’s Ben Laws had a choice last weekend (Sunday 5th January 2014) - either stay local and fish the Ship Inn Open or travel all the way to Amble. He certainly chose right as Laws took the first prize of £500 in the Amble Open with his seven codling for 14 lb 11 oz taken from Swine Dene. As expected due to conditions many went for flounder, with Jim Dobie taking 14 plump fish for 13 lb 08¾ oz taking £300, Gordon Fairley taking £150 for his flounder for 12 lb 03¾ oz. Only ounces separated the top three heaviest fish, Gareth Gardiner taking the £300 prize for his cod of 7 lb 00¾ oz, Daren Bell taking £200 for his cod of 6 lb 13 oz taken from Newton, and Peter Ramsdale winning third prize of £100 for his cod of 6 lb 10½ oz. 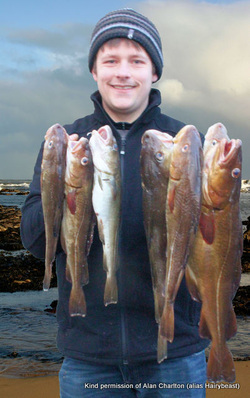 Alan Wood set his stall out for cod at Beadnell and came back with the heaviest flat fish of 1 lb 14½ oz, taking a Yuki Stone Surf rod. The £100 for second went to Steven Smith with a flounder of 1 lb 11½ oz, there was a three-way tie for third place between Neil Charlton, Jason French and George Hall with flounder of 1 lb 09½ oz. Pauline Perry added yet another ladies section win with her six flounder for 4 lb 12¾ oz plus £50. Sarah Johnson took second place and £30 with a codling of 1 lb 15½ oz, Norma Urwin was third, winning £20 with a flounder of 10 oz. It was very close in the junior section, Ethane Marshall taking the £50 first prize with four flounder for 3 lb 10¼ oz, just ahead of Ross Taylor who took £30 with his four flounder for 3 lb 09¼ oz. There was a tie for third between Louis Willoughby and Daniel tate both with four flounder for 3 lb. Although the attendance was down the event still attracted 379 anglers with 124 weighing-in 373 fish for 443 lb 11½ oz. The organisers would like to thank all the anglers who turned out, and all the local tackle shops and businesses for their continued generous support, without which this event would not exist. In contrast the Ship Inn Open, with a first place prize of £600, only attracted 106 seniors and four juniors, with the top prize going to Rob Allison with a cod of 4 lb 14 oz. There was a tie between Ray Maddison and Chris Scaife, each taking £150 for a cod of 3 lb 15½ oz. Ray Maddison took a further £100 for the heaviest bag. 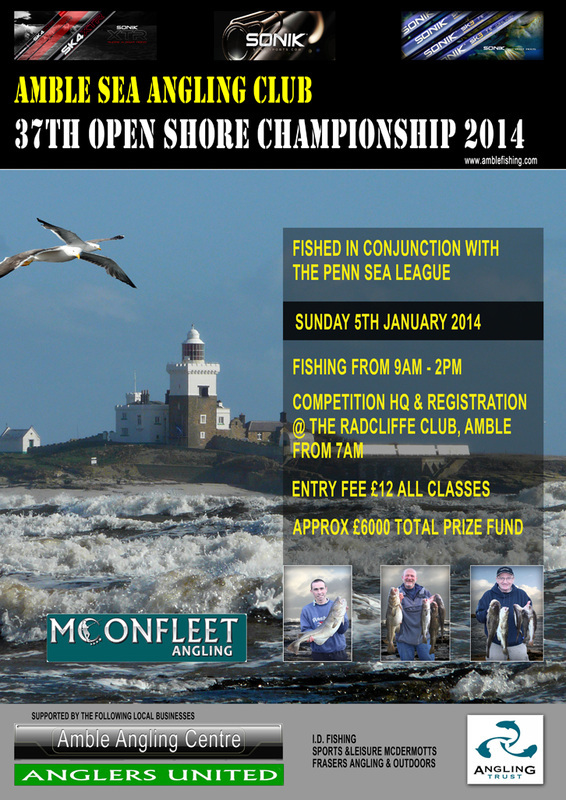 January 18: Hornsea Open night match 6-10pm, scales down at 10.30pm, entry £10 h/f 50% h/b50% entry on day Marine Hotel. Details from John Aylward on 01964 534 245 or Mark Colman on 07768 342 169.